Need to check order status? Have to reprint an invoice on demand? You can at the click of a button! 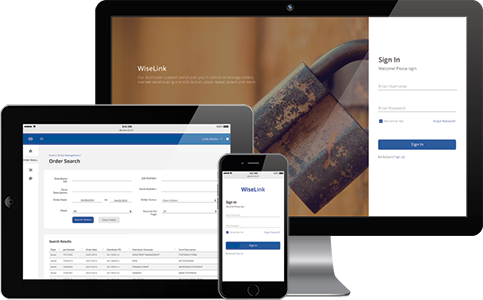 With WiseLink, you will be able to access order information 24 hours a day, 7 days a week! And with our mobile version, you can also preform order tracking on the go!